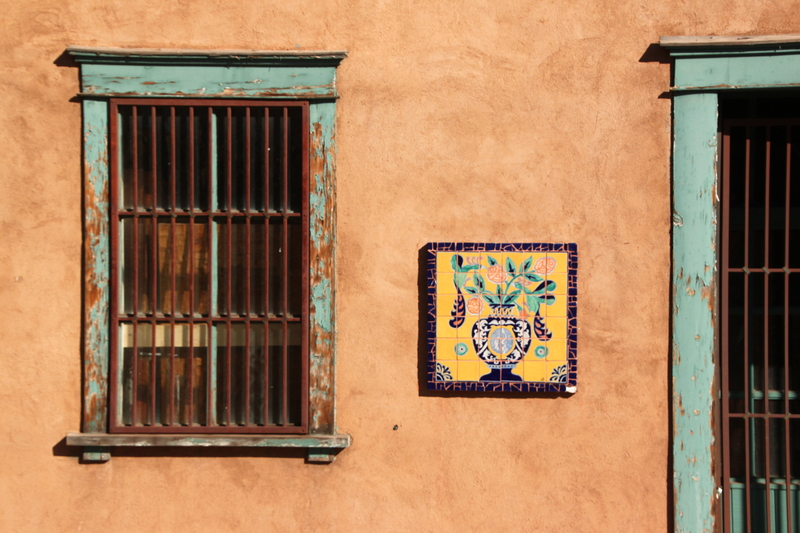 I loved the Mexican influence on the architecture in the two New Mexican cities of Albuquerque and Santa Fe. It felt like we were in a different part of the world. I loved that about traveling in the US, every state is like going to a different country. The scenery, people, culture and food differs greatly and it is so exciting to explore. 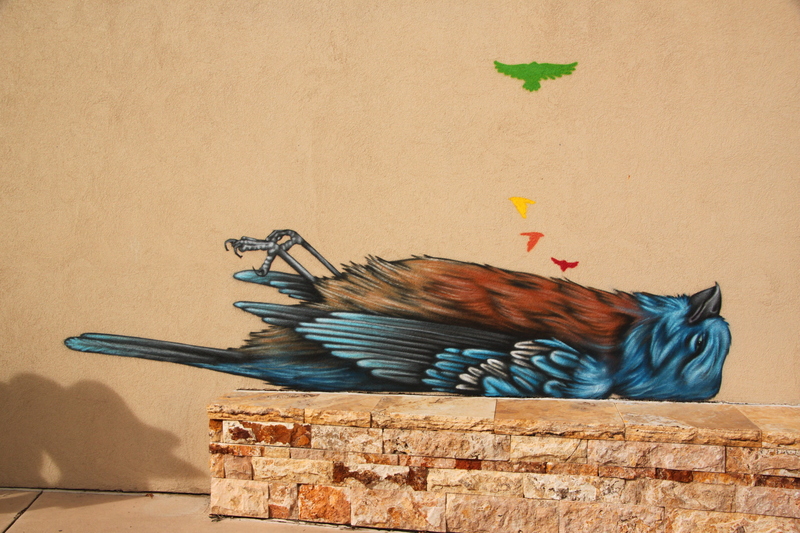 Stay tuned for the remainder of the trip in blog posts over the next few weeks 🙂 In Albuquerque we watched a magic show at the KiMo, an absolutely gorgeous Pueblo Deco theatre from the 1920’s and explored the old town and the Albuquerque Art Museum (free on some days). 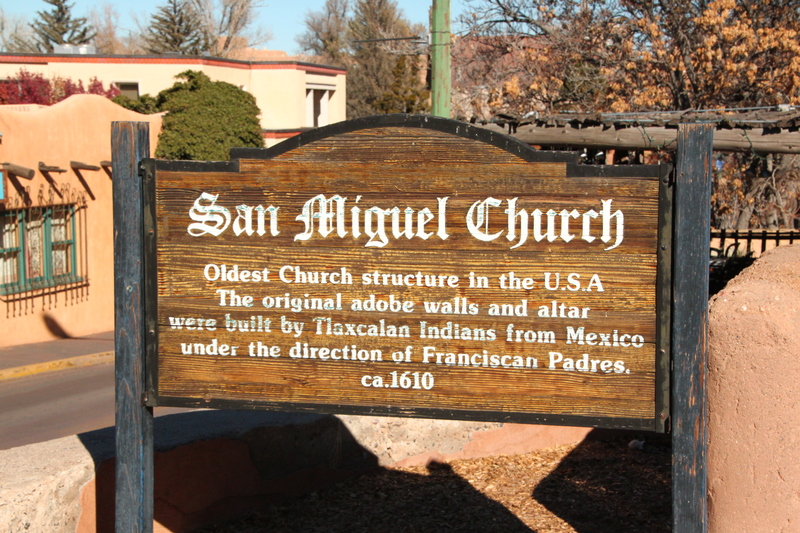 Santa Fe is cute and quirky, with many small shops, galleries and churches. It was just a lovely place to wander around and check out the colourful detailing around windows and doors. Trying the New Mexican chile is a must! 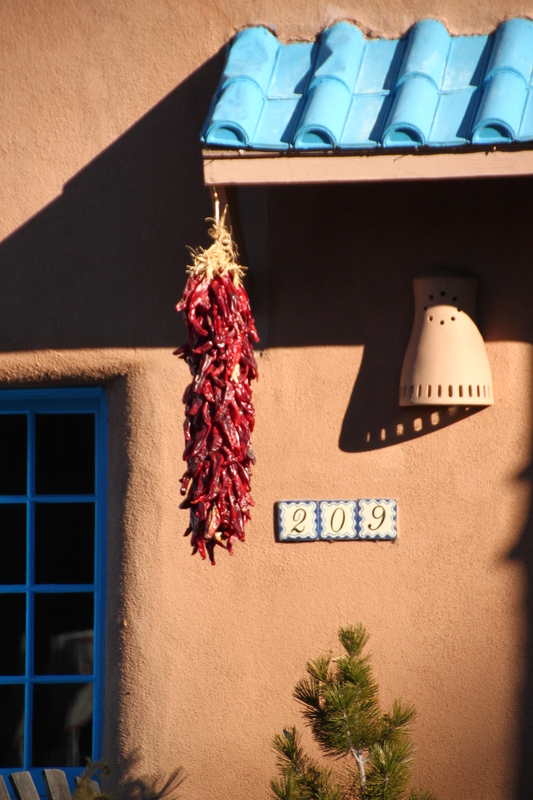 It bears no resemblance to the Texan ‘chili’ and is either Green or Red. 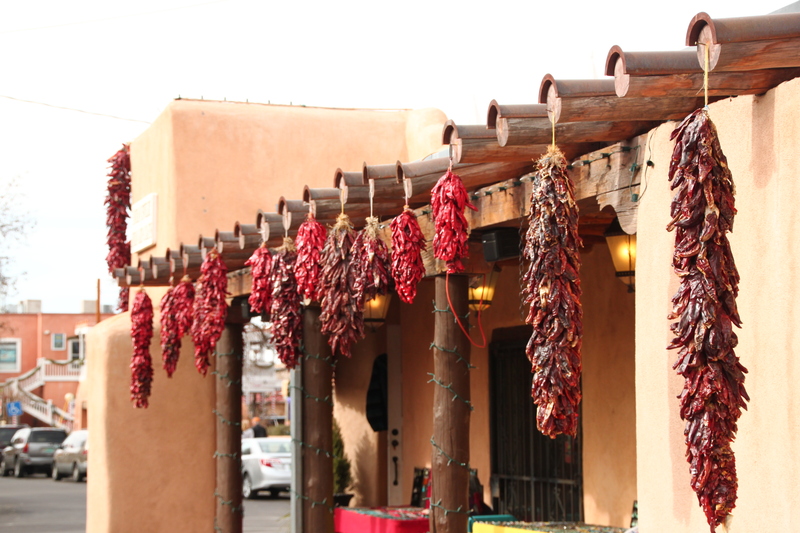 The only difference is that the red chile is simply a ripened green chile! This changes the flavour, but the hottness doesn’t have to do with the colour, it can vary from restaurant to restaurant. 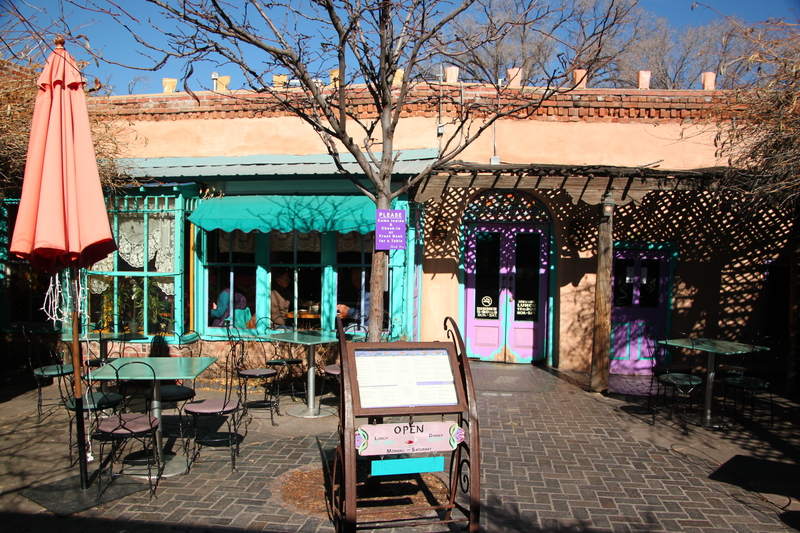 We visited this fantastic restaurant called The Shed in Santa Fe that was absolutely buzzing and it was only 11am! And the food was to die for! 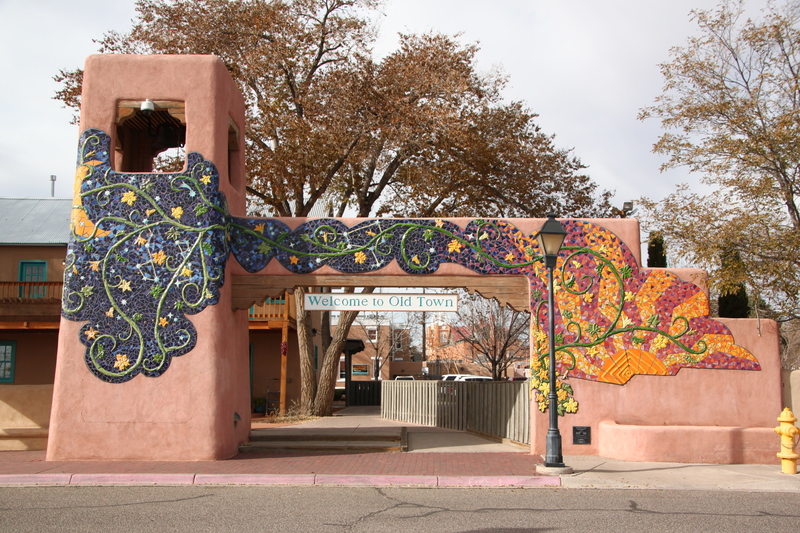 And i think we found the ONLY free parking in the whole city of Santa Fe, on Hillside Avenue next to a park! Excellent! You will have a ball! Where else are you thinking of going?